Tartine Einkorn bread, first time making. I have questions! So here they are, but they are quite sour, more so than my normal breads. And the sour seems to have slightly different sour notes in it. The things I did differently are two: I changed the percentage of starter when feeding (as per the instructions in book 3) from 20% to one Tablespoon, and the Einkorn flour/wheat germ in the new recipe. I let it rise overnight, as I always do. It was quite risen this morning, more than usual. it looks like the bulk fermentation could have gone on longer. Einkorn requires a long soaking time to blend well and reduce a gritty texture. Maybe a cold soak might reduce off flavours and reduce sour when more starter is added. 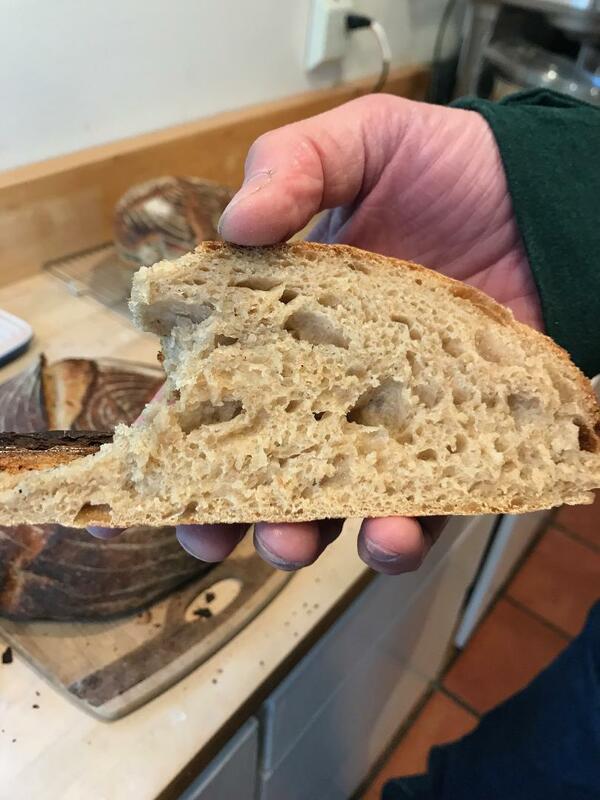 How did you change the einkorn amount, up or down? That is a very good beginning. 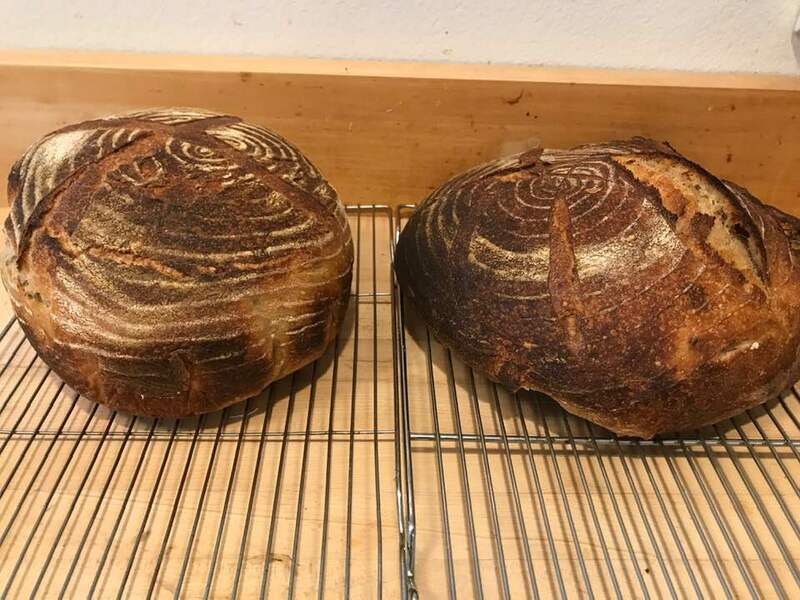 Einkorn is different enough to retire a lot of experimentation to achieve the desired results and yes it tastes noticeably different so you probably are in the correct zone, you just need a little fine tuning now.